SANTA CLARA, Calif. 15 August 2018 – Frost & Sullivan’s recent analysis, Global Surface-to-Air Missile Market, Forecast to 2023, reveals that the growing number of missile attacks in the Middle East, North Korea’s long-range missile tests, China’s expansion in the South China Sea, and Russia’s sale of S-400 have inspired new growth within the surface-to-air missile (SAM) market. The market is anticipated to grow at a CAGR of 5.3% until 2023 and reach $3.88 billion. Due to space limitations on board ships, SAM systems must be custom designed to fit and interoperate with other weapons systems properly. Hernandez recommends ship designers and SAM makers collaborate early in the shipbuilding process to provide efficient air defense solutions. From a regional perspective, the Middle East is making large investments in the SAM market as aggression continues in that region. Countries in the region have no indigenous capability and so organizations in the US and Europe will benefit. Several Asian countries will turn to India, Russia and China for their SAM needs, but such moves may come at the cost of sanctions by the US. 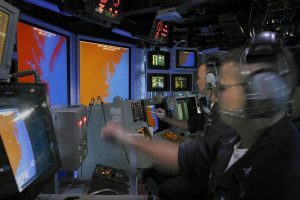 The largest portion of spending within the overall market through 2023 will be focused on the long-range surface-to-air missile (LRSAM) segment, 90% of which will be dedicated to the Patriot system. Upgrades and field support will further drive segment growth. Terminal High Altitude Area Defense (THAAD) growth due to aggressor nations that are known to have ballistic missile capabilities. Acquisition of older SAM systems by countries with less-developed military strength. Development of modern fighter aircraft armaments with longer range capabilities to avoid flying within SAM envelopes. Rise in procurement of SAMs through 2023 as many US allies seek tactical advantages. Fast growth of short-range air defense (SHORAD) SAM segment among global naval forces due to past aggression as well as large global inventories for re-engineering. Frost & Sullivan’s recent analysis, Global Surface-to-Air Missile Market, Forecast to 2023, studies the disruptive technologies, drivers and restraints, market share and competitive environment for players such as Raytheon, MBDA, Lockheed Martin and others. Key findings, spending forecasts, and engineering measurements for segments including LRSAM, MRSAM, Missile Defense, and SHORAD are discussed while analyzing the US, Middle East, Europe and APAC regions. Global Surface-to-Air Missile Market, Forecast to 2023 is part of Frost & Sullivan’s global Aerospace, Defense & Security Growth Partnership Services program.